Let’s explore when and how to use your debit card. Appearances aside, your credit and debit cards have very little in common. Credit cards allow you to choose your purchases now and pay for them weeks, months or even years later. A balance that grows over time will be charged interest, but if you make timely payments, you’ll have yourself a small loan that usually costs you little to nothing. Credit cards also offer rewards, purchase protection and the ability to back out of a purchase you’ve decided against. You can also contest fraudulent charges on your account, or freeze your credit on a compromised card. Debit card payments, on the other hand, will take the money right out of your checking account as soon as you swipe. Debit cards are great for helping you stick to your budget and steer clear of debt. .
Card skimmers at gas stations are on the rise. By using your credit card instead of your debit card at the pump, you’ll have an added layer of protection against fraud. You can also choose to use cash and avoid the risk of getting skimmed altogether. 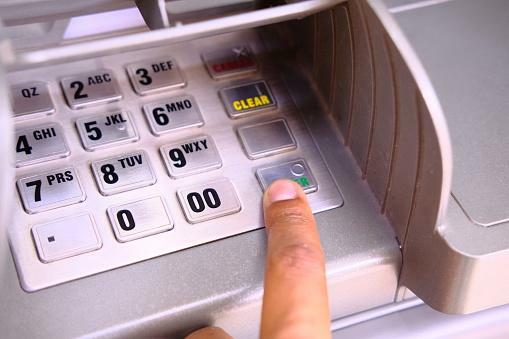 Isolated ATMs in locations with very little security and sparse foot traffic are prime targets for hackers. Click here to find a no-fee ATM near you. When on vacation, think before you swipe. You don’t know the area and you can’t be certain which clerks are to be trusted. You’re better off paying with a credit card or with cash so your purchases are protected against fraud. Also, let us know when you go on vacation so we can add that information to your account, and avoid any unnecessary calls from our fraud department. If you’re springing for a big-ticket item, use your credit card. It’ll offer you dispute rights in case the product doesn't turn out as you expected. When you hand a restaurant server your debit card at the end of a meal, they have more than enough time to also swipe your card info! Always use your debit or credit card with caution. Check the payment processor for anything that looks out-of-place, such as a newer keypad on an older machine or a hard-to-use slot for your card. Don’t forget to cover the pad with your hand when inputting your PIN. Stay ahead of hackers by using your debit card wisely!